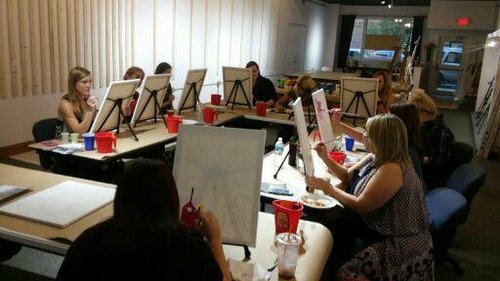 Did you know that the Art Center now has our very own Art Maker Studio just for adults? YES WE DO! Come visit our Art Maker Studio! This studio space is for artists who don't have the space at home, need protected time from everyday "life" or don’t have access to a large space to work on projects. This studio is perfect for college students, stay-at-home parents, artsy couples that can focus better away from home life, empty nesters, seniors or just about anyone who would like to delve in the wonderful world of art. We have the space for just about anyone to work on just about anything, just about any time we are open. Email us at info@parkersburgartcenter.org to find out about availability. When you use the studio all you need to do is sign in and drop a few dollars in the donation bucket. The Esbenshade Art Maker Studio is the home of our fun filled FineTime Artful Parties. FineTime artful parties are fun get-togethers held each week at the Art Center. Bring your friends and your favorite beverages...we supply the instructor and materials. You'll take home a finished work of art and a great memory. 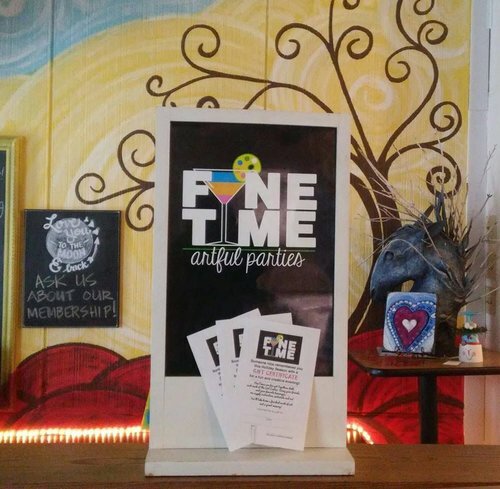 Check out our FineTime page for the full listing of our artful parties.